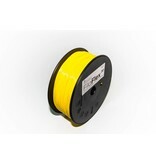 Do you want to stretch and make your favorite yellow prints elastic? 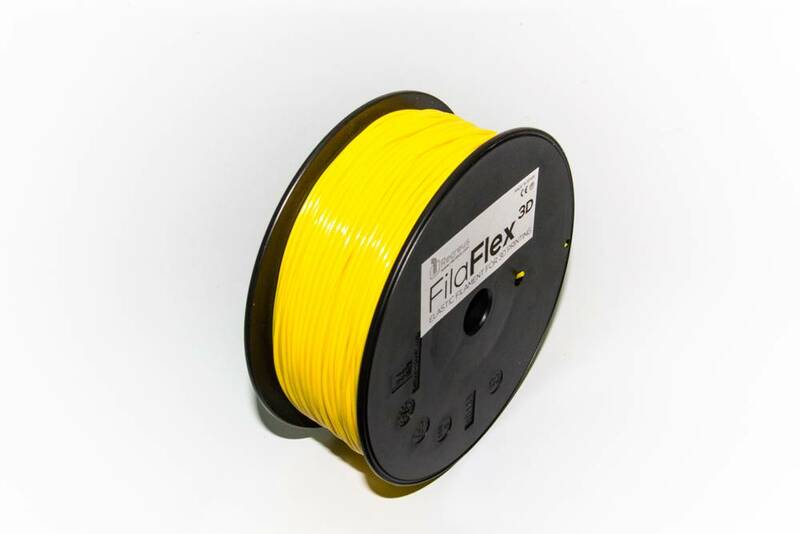 It is possible, thanks to the FilaFlex Yellow filament. Do you want to stretch and make your favorite blue prints elastic? 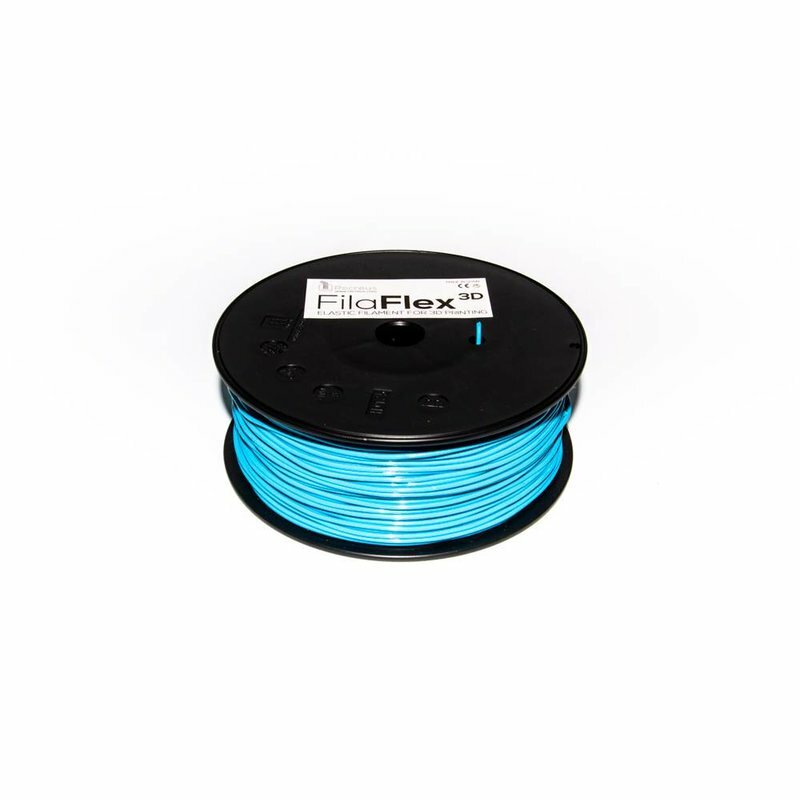 It is possible, thanks to the FilaFlex Blue filament. Do you want to stretch and make your favorite green prints elastic? 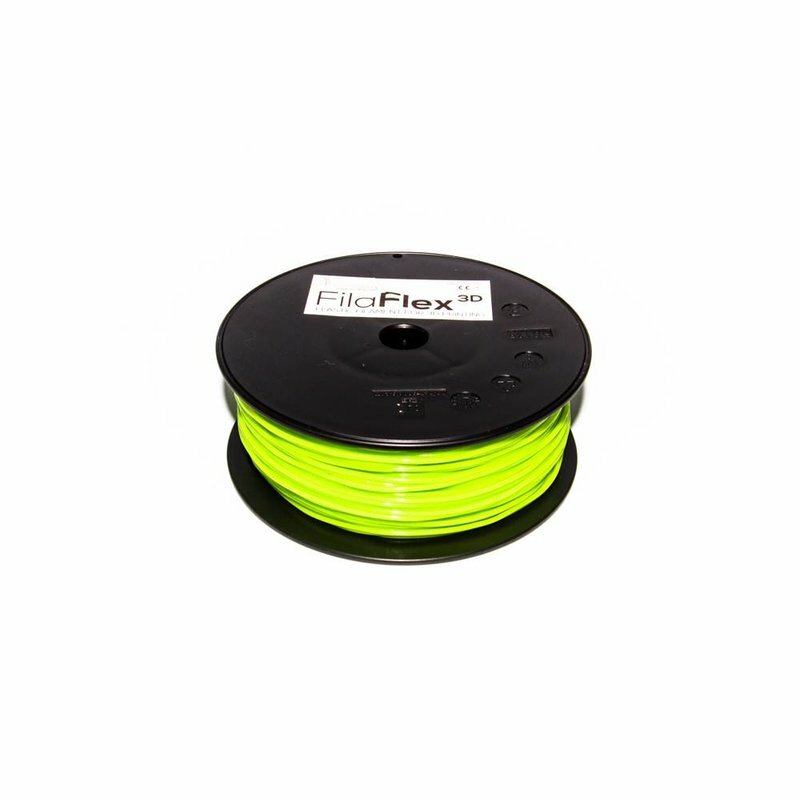 It is possible, thanks to the FilaFlex Green filament. Do you want to stretch and make your favorite red prints elastic? 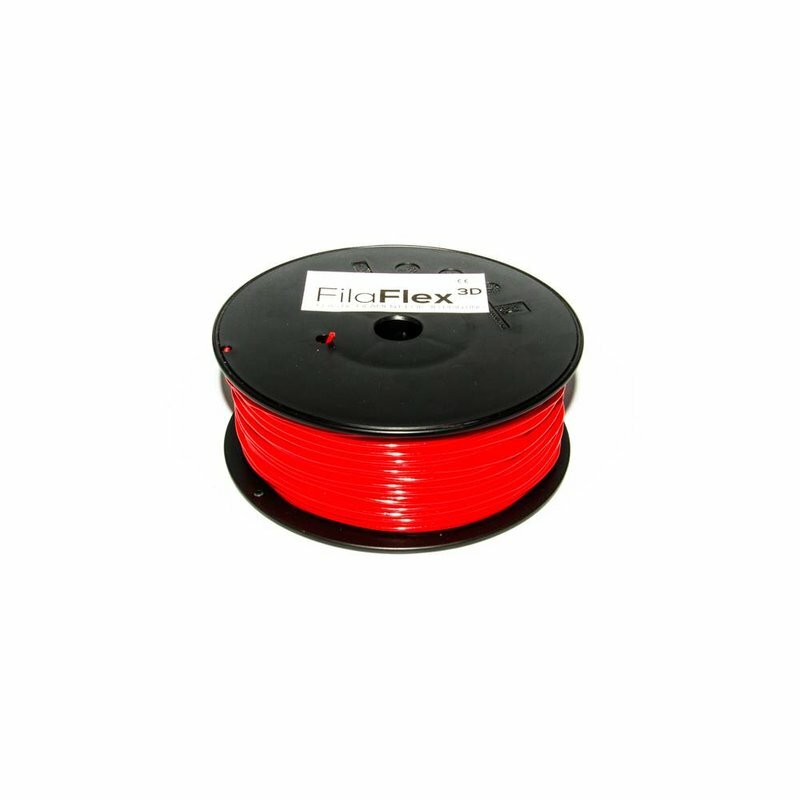 It is possible, thanks to the FilaFlex Red filament. 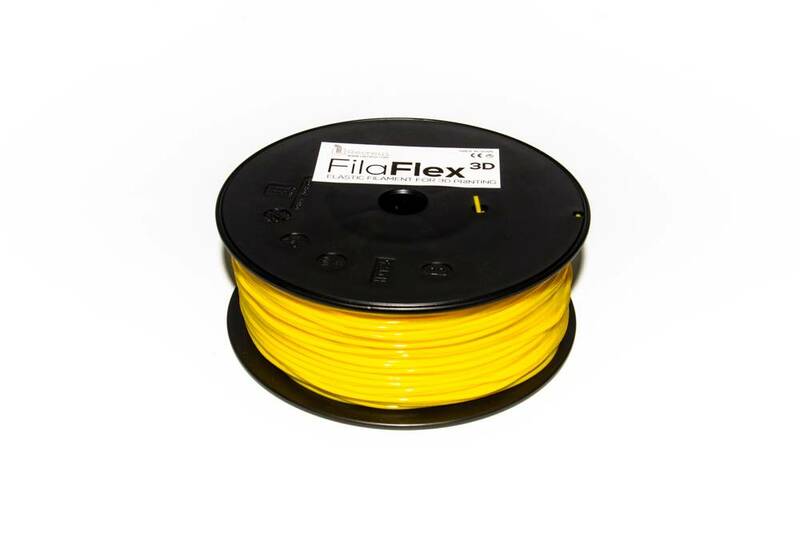 FilaFlex filament will cease your mind. 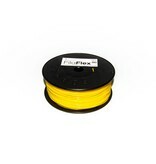 This filament is elastic and can be stretched as far as 700%, which will unloosen your imagination. You can print anything you want! 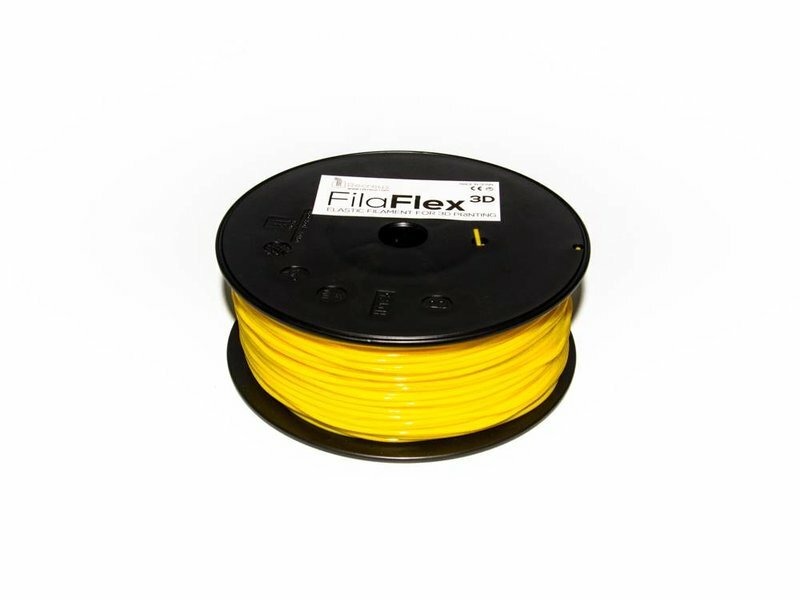 FilaFlex is compatible with almost any printer. 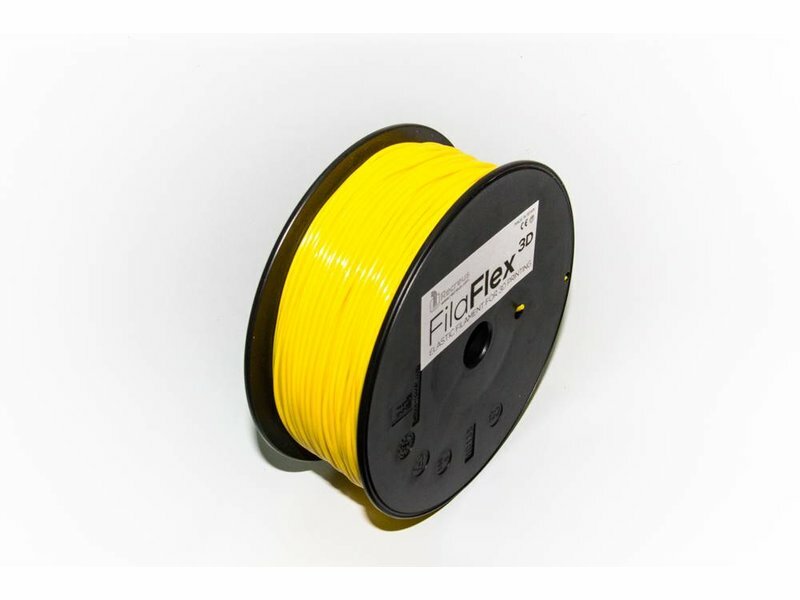 FilaFlex also allows you to combine rigid material such as ABS/PLA with a double extruder. You do not need kapton tape or blue masking tape, nor does FilaFlex need a heat bed. It is also resistant to acetone, fuel and solvents.